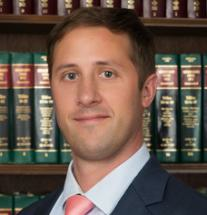 Todd Farrar is licensed to practice law in Mississippi and Louisiana. Todd has experience representing clients in many areas of law, including hundreds of cases related to serious injuries from car & trucking accidents, criminal defense of DUIs, misdemeanors and felonies, medical malpractice claims, and a wide range of serious personal injury matters. Before partnering with Stopher Haug, Todd owned law firms in Ocean Springs, MS and Lafayette, LA. Todd also handled DUI and other criminal cases for the Public Defender's office in Vermilion Parish, Louisiana. He has worked with some of the largest personal injury firms on the Mississippi Gulf Coast and serves as a mediator and trial lawyer for the firm. Todd received his undergraduate degree from Mississippi State University and earned his Juris Doctor and Graduate Diploma in Civil Law from LSU's Paul M. Hebert Law Center. Todd and his wife, Amy, reside in downtown Ocean Springs with their son Luke and dog Loui. When not in courtrooms all across the state, you may find Todd fishing, boating and sailing in the Mississippi Sound or finding forever homes for shelter dogs while volunteering with Friends of Jackson County Animal Shelter.